NOTES: Spirit can be slightly difficult to find complete in mint condition. He can develop discoloration in his blue shirt. 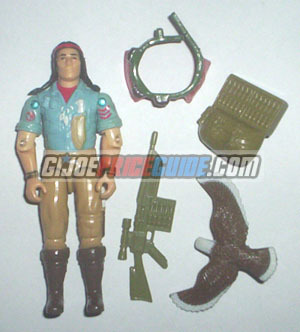 Spirit's eagle is named Freedom and often has broken talons that were meant to grasp to the figure's wrist. The gold paint on the wrists will therefore commonly have damage.